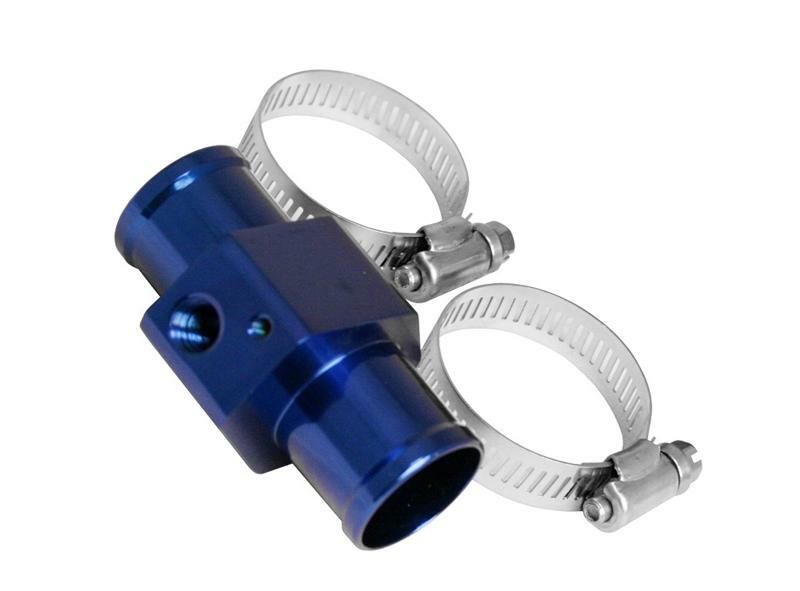 To help make gauge installations easier, Megan Racing has developed Water Temperature Sender Adapters to easily adapt the sensor that is included with our Water Temperature Gauge to most sizes of radiator hose. Installation is simple, simply drain your cooling system, cut a 1” section from a straight portion of your upper radiator hose and install the hose adapter. Be sure to fabricate a grounding strap for proper operation of the sending unit. Although the installation is simple, we HIGHLY recommend proffesional installation due to the nature of the cooling system. Constructed of hard anodized aluminum and available in either Red or Blue; be sure to specify what color you would like.